Before robbing a bank Thursday morning, a Florida man prepped for the heist by searching Google for instructions on “how to rob a bank,” police report. 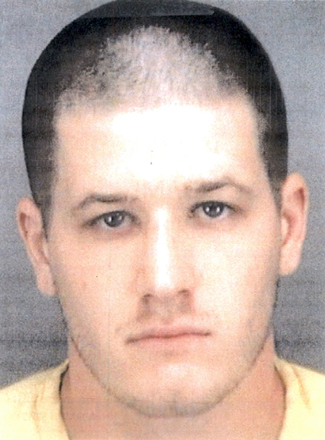 Cops charge that William Johnson, 26, made off with about $2000 from the Achieva Credit Union in Largo. According to a criminal complaint, Johnson handed a teller an envelope with the words “give me money, no bait, I have gun” written on it. Within minutes of the crime, a subject matching the description of the robber entered a nearby Publix supermarket and purchased several lottery tickets, food, and a beverage. By late afternoon, cops had received multiple phone calls identifying Johnson as the bank robber (the sources had seen bank surveillance photos that police had posted to Facebook). Additionally, Johnson’s mother identified him as the man seen in the bank photos. Johnson (seen above) was subsequently arrested at an Express Inn & Suites in Pinellas Park. During questioning, Johnson reportedly confessed to the robbery and copped to the incriminating Google search. Johnson, cops say, revealed that he was plotting a second bank heist, apparently because he had already spent the proceeds from the October 5 robbery on rent, utilities, and narcotics. Charged with felony robbery, Johnson is being held in the county jail in lieu of $100,000 bond. Johnson’s rap sheet includes arrests for grand theft, dealing in stolen property, probation violation, and felony battery (for which he was on probation until mid-April).